If you haven’t visited the show, you have only two days left! Click here for more details. 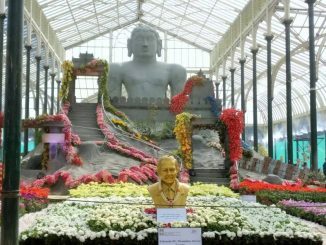 Lalbagh flower show is here again, this time with a theme that might compel you to get out of Bengaluru and explore Karnataka! Mysore Palace comes alive in Lalbagh! Flower show is back again. Revel in the beauty of flowers, and buy gardening material if you like. This could be your weekend getaway, for a day at least! The 199th edition of the Lalbagh Flower Show is truly a feast for the eyes.